Hearing Aids- starting at $999/ear. Digital, Directional microphones, newest available technology offered, wireless options available, non-franchised manufacturers. Fitting by Doctor of Audiology. Receiver in the ear, slim tube, custom or BTE digitally prescribed hearing aids, all major manufacturers. Phonak, Oticon, Widex, Unitron, Starkey, Westone, more. Before you purchase hearing aids- inquire about our low pricing. Only pay for what you need and want. Recommendations for style and brand. Wireless accessories, musicians plugs, custom specialty items- inquire within! 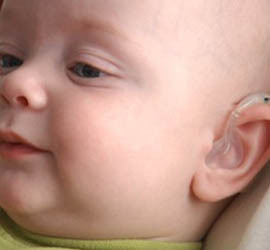 FREE consultation about hearing and hearing aids. Diagnostic testing. Hearing aid evaluation by Doctor of Audiology. Hearing aids cleaned and vacuumed at your home using our mobile needle vacuum. Microphones, receiver and battery compartment vacuumed. Hook, standard tubing, or slim tubing change. Microphone covers cleaned. Moisture removed. Wax guard cleaned and/or replaced. Non- working hearing aid trouble shoot and repair. Free estimate. On site repairs. Discounted off site parts replacement. Free estimate. Old hearing aids rusted out or distorted? Don’t pay thousands for new. Almost every instrument can be restored for a fraction of the price. Let us get your instruments back into shape. Adjust programming, volume, or noise management of current hearing aids. Adjust donated or used hearing aids to your audiogram. Please inquire about specific make/model. Hearing aids are whistling? We’ll stop it for you. Call now to set up an appointment. If your earmold or ear piece on your hearing aid does not fit properly, we can take an impression and have a new earmold made or modified. Larger or smaller dome replacement for a piece that does not fit your ear. Please inquire about specific service for price. – We will come to your home to replace your batteries if it is difficult for you. We provide the batteries.